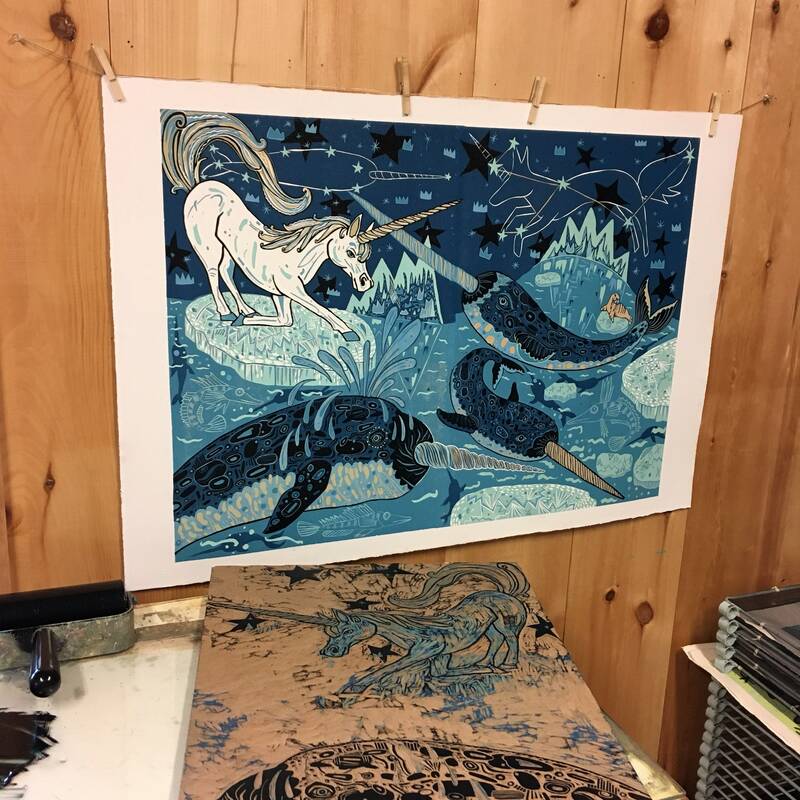 This is a pre-order/payment plan option for a large unicorn and narwhal woodcut. I will make a reserved listing for you every month for 6 months and will ship the art once it is paid for. 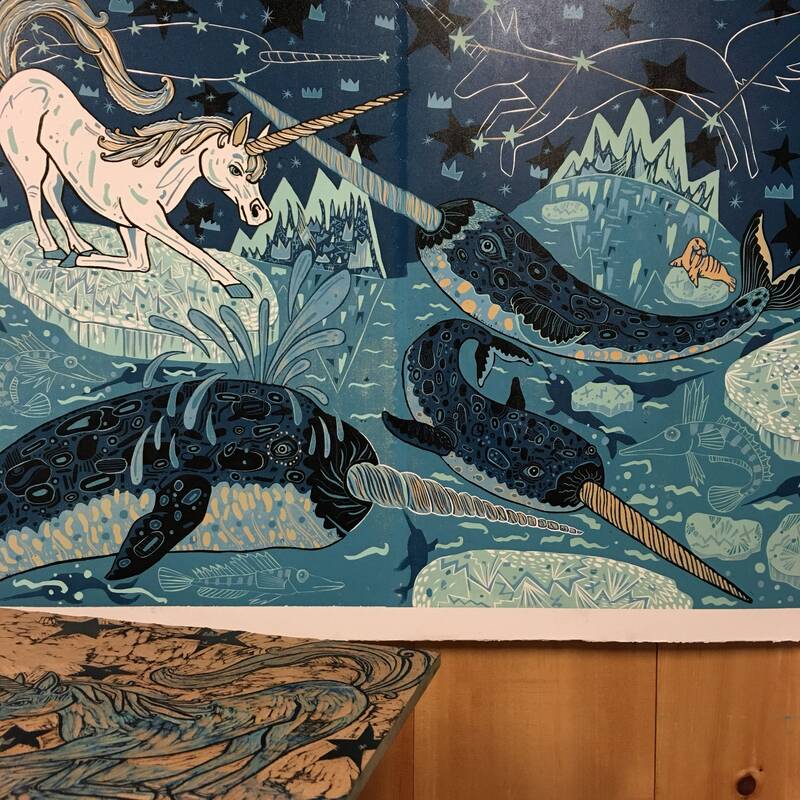 Unicorns and Narwhals have a history together. Viking traders actually would gather the horns of Narwhals and sell them to royalty as Unicorn horns. Narwhal horns fetched very high prices and made the Vikings rich. The practice lasted until naturalists had a better sense of the animals in the natural world, and realized that the horns were actually coming from a whale living in the far north not a horse. The Greek name for unicorn is Monoceros, which is also part of the Latin name for Narwhals. Even their nomenclature is linked. 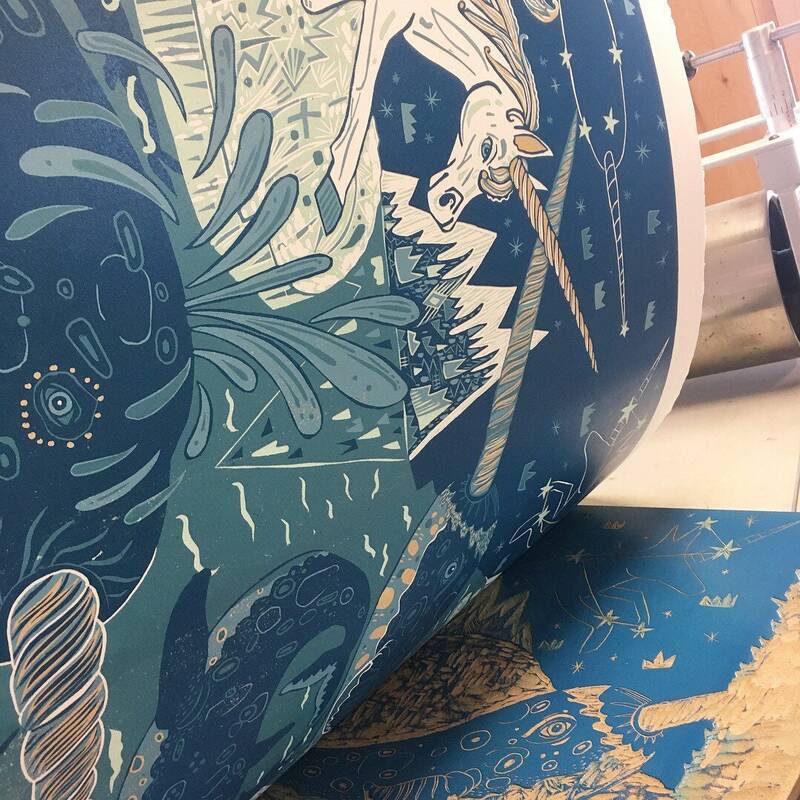 Need a luna and bat woodcut to hang out with the unicorn?